“Balozi” Robert Alexander Harvey was born in East Orange, New Jersey, USA on January 26, 1940 to the proud parents of Clifton Harvey and Willie Bell Harvey. Balozi is a Muslim by faith, having converted from Roman Catholicism and assumed the name Zayd Muhammad in 1965. Balozi’s early years of education were spent within the City of East Orange Public Schools system. 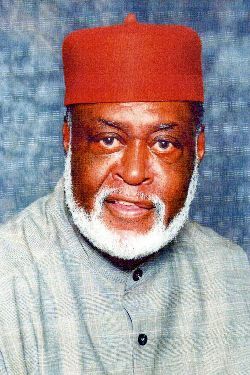 He graduated from East Orange High School in 1957; majored in Political Science at Seton Hall University in South Orange, New Jersey; and later attended the United Nations Language School where he learned to speak Swahili, Mandarin Chinese, Arabic and Zulu. In 1957, Balozi joined the Strategic Air Command of the United States Air Force and was honorably discharged in 1961. In 1964, Balozi became a personal guest of the most esteemed statesman President Julius K. “Mwalimu” Nyerere of the United Republic of Tanzania, a proponent of North-South Dialogue who named him “Balozi” (Swahili word for ambassador and/ or statesman). 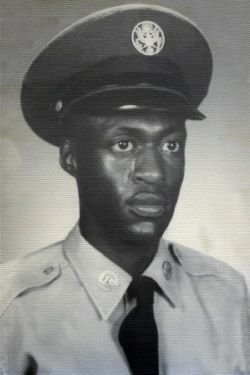 In 1966, 18 months after his return to the United States, he served as the Job Recruiter for Tanzania, in which capacity he placed many African-Americans in professional and technical positions in Tanzania. In 1967, Balozi founded and became Chairman of the Black Community Development Organization, a grass-roots community organization helping to instill Afrocentric values in African -American youth in various communities within Essex County, New Jersey. Balozi attended the inaugural Kwanzaa celebration launched by Dr. Malanga Karenga in Los Angeles, California in 1967. Between 1970-1973, Balozi functioned as a Non-Governmental Organization (NGO) Representative to the United Nations for the Congress of African People. During this time, he also served as the Impresario for the Ballet Africana (National Dance Troupe of the Republic Guinea). During 1973 -1977, Balozi served as the Director of Drug & Alcohol Control for the City of East Orange, New Jersey. Thereafter, in 1977-1982, Balozi was employed as a Special Aide in the Office of Hon. Kenneth A. Gibson, Mayor of Newark, New Jersey where he was responsible for protocol and international relations. He was assigned as Mayoral Liaison to the United Nations diplomatic community to help expand trading links between Newark companies and developing nations, as well as the Mayoral Representative to the Newark Export Task Force. 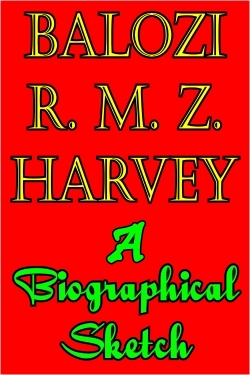 In 1978-1979, he was a Mayoral Liaison to the Newark-Rutgers University Small Business Development Center; and, in 1978, Balozi served as the President of the Newark United Nations Association. During 1977-1982, Balozi shared his expertise as an international trade and investment consultant to the New York State Harlem Urban Development Corporation (HUDC). In addition, he served as a consultant to the Black Caucus of Local Elected Officials in 1982. In 1982, upon the recommendation of U.S. Congressman Charles B. Rangel (D-New York), Balozi was appointed as Executive Director of the Harlem Third World Trade Institute (HTWTI), an international trade and investment promotion agency of the Harlem Urban Development Corporation (HUDC) in New York City. During his 13-year directorship (1982-1995), the Institute facilitated international transactions in excess of $50 million. In addition, 47 Heads of State and Government from Africa, the Caribbean, Latin America, and South Pacific Islands, as well as over 400 high-level government and business leaders visited Harlem, USA as guests of the Institute, HUDC and Congressman Rangel. HTWTI facilitated trade and investment relations between American small, minority and women-owned firms and developing countries; and promoted the development of the proposed $150m Harlem international Trade Center. In 1983, the United Nations African and Caribbean Diplomatic Corps, under the joint chairmanship of Ambassador Oumarou G. Youssoufou, Executive Secretary of the Organization of African Unity to the United Nations and Ambassador Serge Charles of Haiti, honored Balozi at a Testimonial Dinner for his twenty years of distinguished service and commitment to Pan-African solidarity and cooperation. A year later, he spearheaded the formation of the Essex County Pan-African Cultural Society, and became its Chairman. In 1984, Balozi was elected as a member of the Board of Directors of the New York City Partnership, Inc., “a coalition of business and civic leaders dedicated to improving the quality of life in New York City.” The Partnership was headed by David Rockefeller, Chairman of Chase Manhattan Bank. In 1988, Balozi was “enstolled” as King Nana Kablam I of the Village of Azzuretti in the Republic of Cote d’Ivoire. 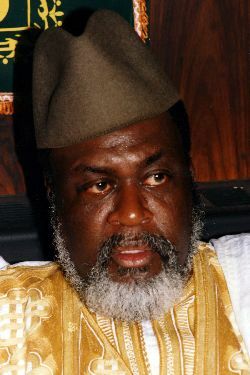 Later that year, Cheikh Moutada M’Backe, spiritual leader of the 7-million worldwide Mourid Islamic Community headquartered in Touba, Senegal appointed Balozi as His North American Representative and Spokesman. Since 1988, he continues to serve as the President of the Mourid Islamic Community in America (MICA). In 1995, Balozi formed and became Chairman of Balozi & Associates (B & A), an international trade and investment consulting firm focused on exploring business opportunities in emerging African and Caribbean market economies. The firm opened offices in New York City, East Orange (New Jersey), London, Paris and Monrovia (Liberia). One client, ACTEL, is developing an $800 million satellite project in Africa in conjunction with Lockheed Martin. Balozi also served as Director of Global Mining Consultants (England) and Director of Guardian Scientific Africa (USA). In 1995, Balozi established and became Chairman/CEO of His Majesty Traders, a business entity, and later that year founded and became Chairman of Human Bridges, Inc., a nonprofit charity. Two years later, in 1997, Balozi was appointed as Special Presidential Envoy of the Government of Liberia by H.E. Charles G. Taylor, President of the Republic of Liberia. During 2001 to 2002, Balozi served as Executive Vice President of Egg Solution, Inc., a European optical technology manufacturer with offices in Paris, New York and Los Angeles. In January 2003, Balozi was appointed as Director of the newly-created Office of Cultural Diversity and Affirmative Action (OCDAA) by Essex County Executive Joseph N. DiVincenzo, Jr. In this capacity, he served as member of the Essex County Disparity Study Commission and the Essex County Juvenile Justice Disparities Working Group. A year later, in January 2004, Balozi was appointed as Executive Director of the Essex County Economic Development Corporation (EDC) by County Executive DiVincenzo. He is a member of the Essex County Workforce Investment Board (WIB) and serves as the County Executive’s Municipal Liaison to the Township of Irvington, New Jersey. In May 2006, Balozi was honored as the Grand Marshall of the 40th Annual African-American Heritage New Jersey Statewide Parade. Joining the African-American community were delegations from several African countries, including Cote d’Ivoire, Ghana, Liberia, Nigeria and Senegal. Balozi participated in the American civil rights movement, and is a member of the National Association for the Advancement of Colored People (NAACP). Early in his childhood, Balozi was mentored by his father, an activist in the Marcus Garvey movement, about his African legacy and pan-Africanism thoughts. In the last half-century, Balozi has dedicated his life towards building cultural bridges between and among Africans ( in the Motherland) and peoples of African descent( in the Diaspora) ; promoting the economic and political development of African-American communities, and African and Caribbean nations; and forging relationships between and among peoples of all races and nationalities at home and abroad. He has also contributed generously to numerous local, national and international humanitarian causes. Since 1964, Balozi has traveled to nearly 100 countries around the world, including embarking on at least 200 trips to the African continent. Balozi’s activities have been covered in several print and broadcast media outlets at home and abroad, including newspapers such as the New York Times, Newark Star Ledger, New York Daily News, New York Daily Challenge, and Amsterdam News. In addition, coverage was provided by magazines, such as Ebony, Jet, and Black Enterprise, Crisis, Trade Winds, and the Mourid. 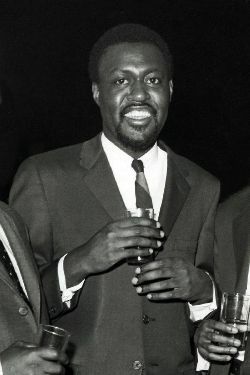 Television Appearances have included “Like It Is” (ABC) in 1968, “Black Journal” (Fox) in 1977, British Broadcasting Corporation (BCC) in 2001, and the Senegalese National Television (1987- 2002). He appeared on radio talk shows at WLIB, WBGO, WBAI, 1010 Wins, and BBC Radio. Balozi is married to Judge Karimu F. Hill-Harvey of the Municipal Court of East Orange, and has six children-Angela, Karen, and Nurisha (daughters), Zayd, Quami, and Mwalimu (Sons), and five grandchildren- Akili, Anike, Zayd, Quran and Aliciana. Since 1982, he has resided in South Orange, New Jersey, USA.